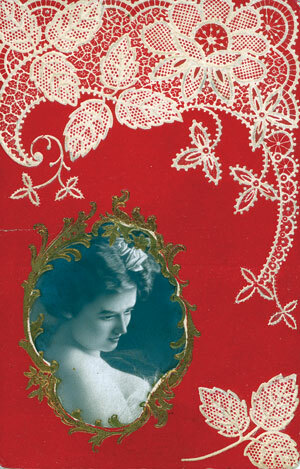 Ferdinand Ingold, a Swiss immigrant to Monroe, Wisconsin (the Swiss cheese capital of America) operated a novelty and import company, specializing in post cards such as the lovely and unusual embossed lace postcard shown here. By the mid-1910s he saw a need to supply his like-minded customers of the immigrant community with recordings from their homeland and was able to procure many titles from Switzerland for resale in the U.S. Then Ingold got the idea to start his own record company to make and sell records by the community for the community. Local heroes Otto Rindlisbacher (accordion) and Karl Hoppe (violin) would travel to New York to make the first recordings in late 1920, and somehow Ingold connected with a prize-winning yodeler from New Jersey, Charles Schoenenberger, to make both Swiss-German and English-language yodel records—both solos and duets with a partner, Louisa Schneckenbuehl. Selections made by these individuals comprise the bulk of the recordings. 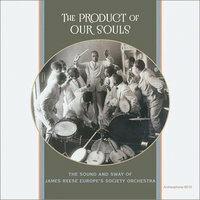 Most but not all of the known recordings were released in 1921, with a scant few following in the year or so after. The operation went on long enough to support two slightly different label types and a few pressing anomalies (such as at least one unpublished pairing of the same songs). By 1924 it was all over, when Ingold filed for bankruptcy. In 1926, he died at the age of 65. But his dream lives again. ← Mystery Banjo Players Identified?